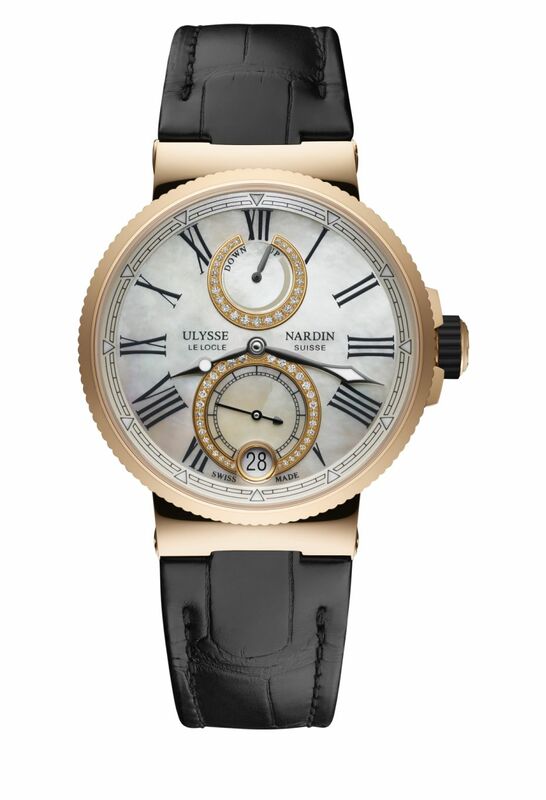 Ulysse Nardin introduced a new collection of ladies timepieces for the successful Marine Chronometer product line. 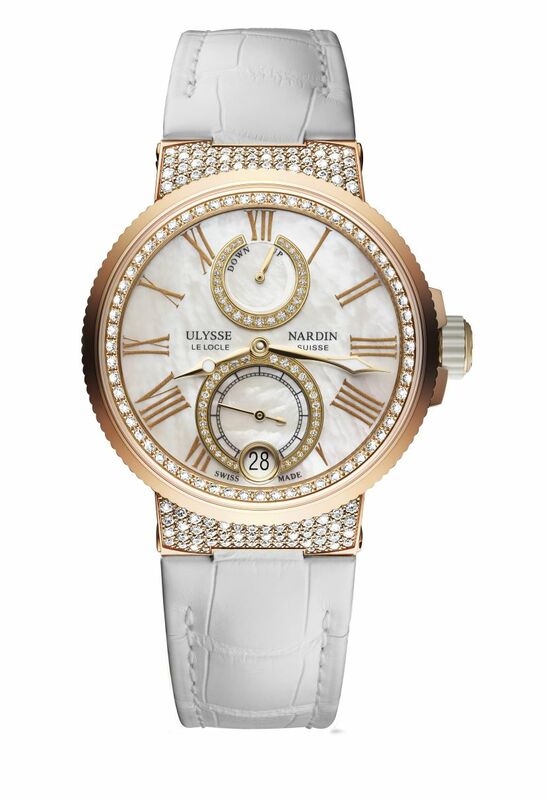 The new collection offers stainless steel or in 18K rose gold case options. 39mm cases sport an AR-coated sapphire crystal on the front and a sapphire display back with. The watches are water resistant to 100 meters. The timepieces are equipped with the brand’s in-house movement Caliber UN-118. 50 jewels movement beats at 28800vph and offers a power reserve of 60 hours when fully wound. COSC-certified caliber features the patented DIAMonSIL and patented inertial balance wheel with silicium hairspring. Complications are power reserve indicator and a forward and backward date corrector. 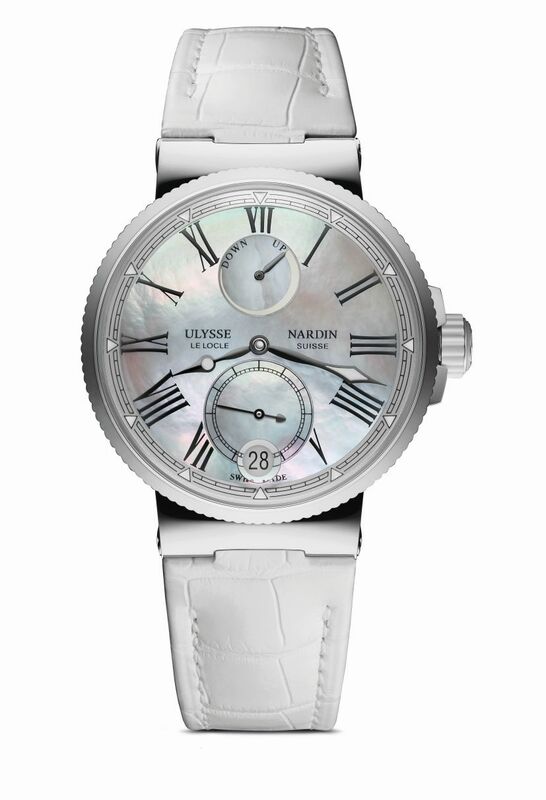 The dials are made of mother-of-pearl with Roman numeral markers and SuperLuminova applied hands. New models come on a black or white leather strap with a steel or 18K rose gold folding buckle.